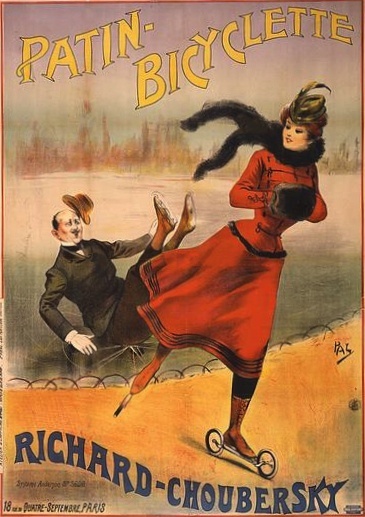 Free Vintage Art is excited to share so many wonderful vintage images featuring people. These copyright free people images are here for you to just enjoy looking at or download and use with your scrapbook pages, mixed media art projects or other creative endeavors. 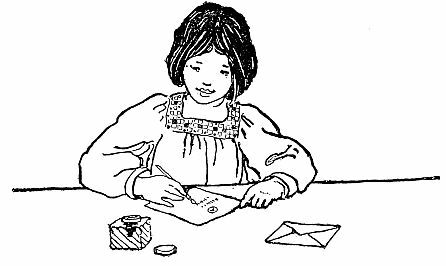 Vintage book illustration of a girl writing a letter. Letter writing may seem old fashioned but I still love receiving a personal letter in the mail. 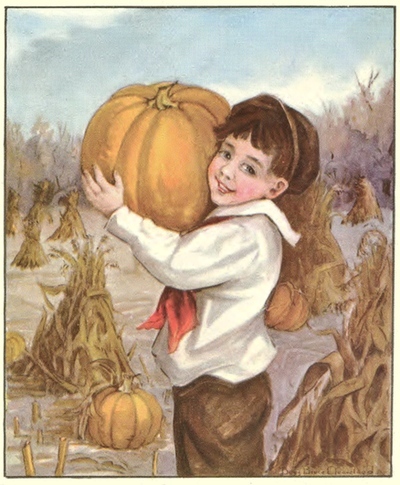 A vintage fall image of a little boy with a pumpkin amongst corn stalks. Charming illustration by Bess Bruce Cleaveland (1876 – 1966). 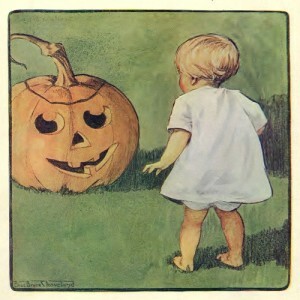 Vintage magazine cover from 1911 with a Jack-o-Lantern and baby. 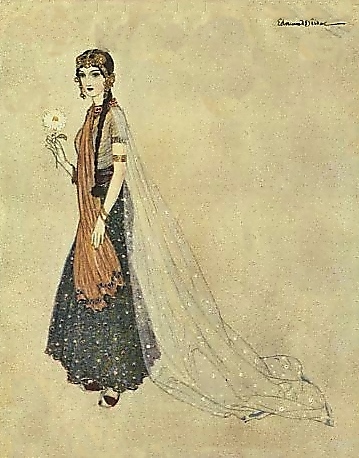 Charming illustration by Bess Bruce Cleaveland (1876 – 1966). A first glance. Will it lead to more or will it just be another anonymous person who crosses our path? Vintage PD drawing capturing that moment of chance. There was little written about the wife of Joseph but most seem to believe Asenath was a very beautiful woman. This drawing depicts her beauty and wealth. 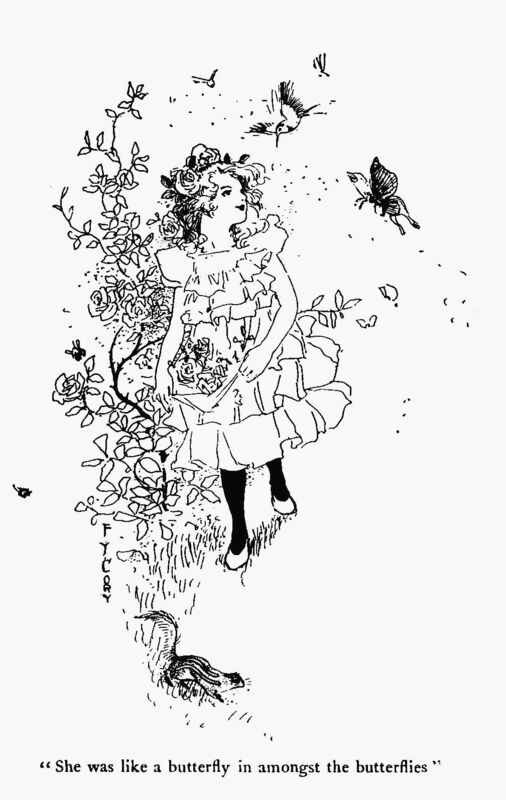 Vintage, printable girl and flowers coloring page by the artist Fanny Young Cory and offered for printing and downloading by FreeVintageArt.com. 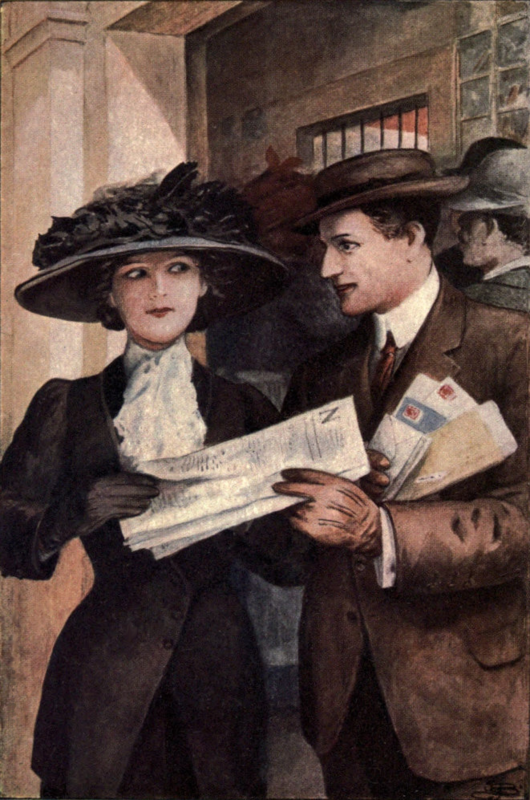 Vintage romantic image rescued from an old letter. What started out as decoration on a sheet of stationery from 1890 can become a project all your own. Valentine’s Day is for lovers and sweethearts no matter how young and cute they are. 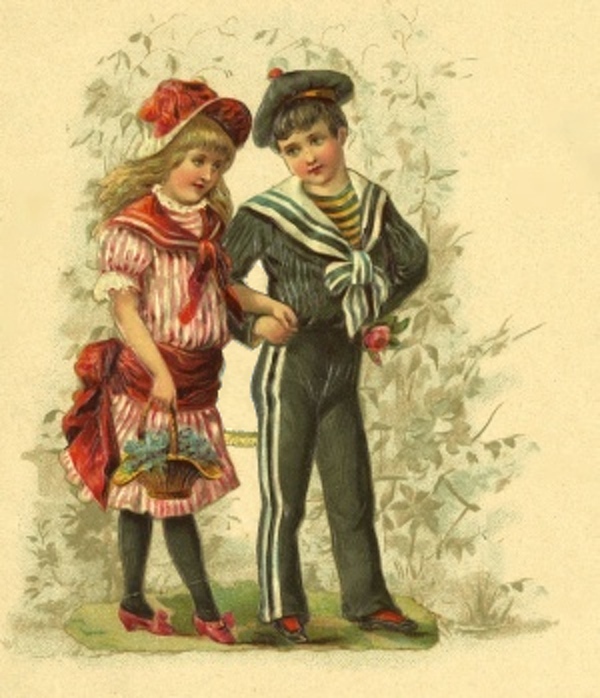 Vintage holiday card with two sweet children to print and download. 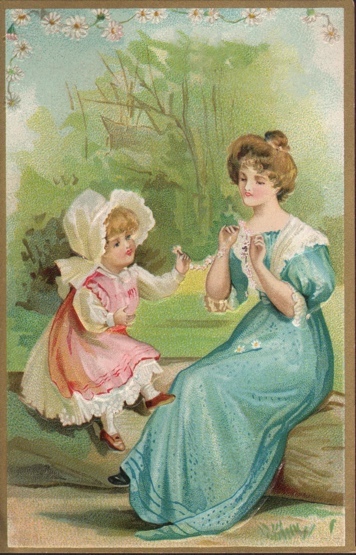 A charming vintage postcard of a mother and daughter making chains with loose daisy flowers. Your’s to print, download and use in your own creative projects. 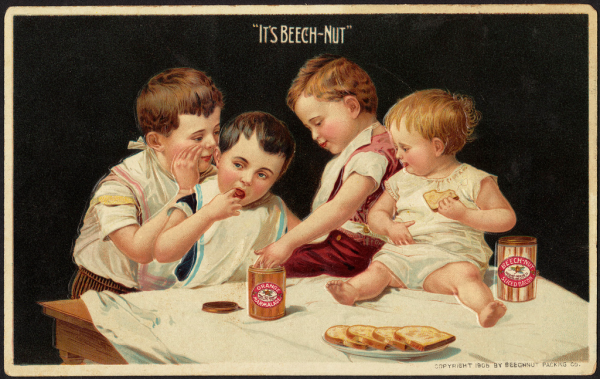 What a delicious secret a group of young boys are sharing on this vintage trade card. The wonderful marmalade that they are all enjoying is Beech Nut. 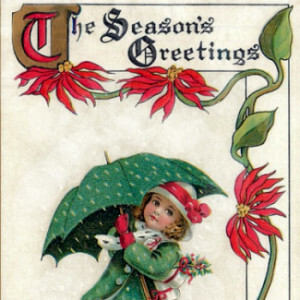 Season’s Greetings is a vintage 1913 Christmas card featuring a charming little girl in a green coat with a matching umbrella delivering gifts in the snow.